World Luxury Expo, Qatar, the fourth edition of the World Luxury Expo series, has opened at the magnificent St Regis Hotel, Doha. The event was officially opened by Ebtihaj Al Ahmdani, board member of the Qatar Chamber of Commerce & Industry and chairperson of the medical and educational committees, the first Qatari woman to hold this positions. She received the Forbes award as the Arab world’s most powerful woman in 2006 and again in 2008 and she was ranked as 19th on the list of the most influential women in the world by Forbes Middle East. 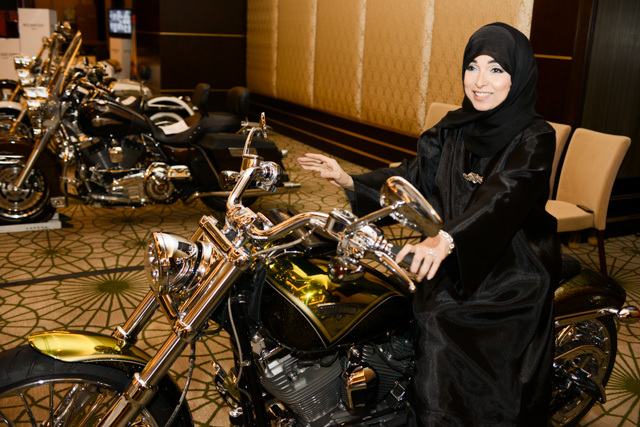 Al Ahmdani was recognised as the most influential women in the field of family businesses in Qatar in 2013. Ebtihaj was very impressed by the standard of the exhibits and embraced the event with great enthusiasm. World Luxury Expo showcases a selection of the world’s leading luxury brands in one spectacular venue from November 14th-16th 2013. Tareq Derbas, general manager, The St. Regis, Doha, explained: “We are looking forward to hosting World Luxury Expo, Doha, which we believe will become an annual signature event for Qatar. The World Luxury Expo series has steadily gained momentum and status in the region, having recently concluded three successful events, the first at Burj Al Arab, Dubai in January, the second in February at the palatial Ritz-Carlton, Riyadh and the third edition took place at Emirates Palace, Abu Dhabi in September 2013. 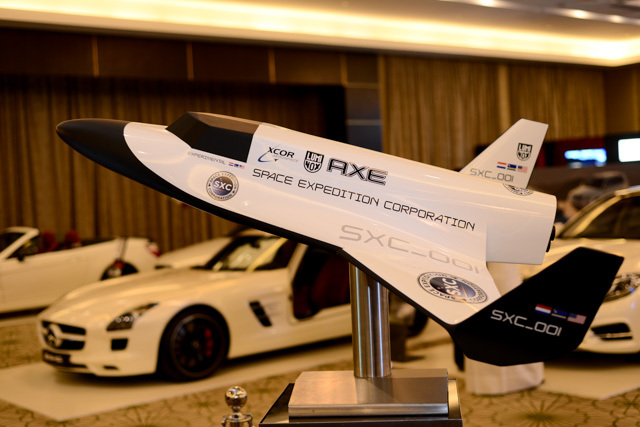 Out of this World Luxury Travel is being showcased by Space Expedition Corporation, who are presenting a 1:6 scale model of the SXC Lynx Mark 1 spaceship. Something for the luxury traveller who aspires to an “out of this world” experience by crossing the ultimate boundary into space. The Official Formula 1 Opus BERNIE Edition was revealed to Qatar at World Luxury Expo, Doha. This iconic collector’s piece is valued at US $1,000,000 and will be presented by Opus Media Group, the luxury publisher that produces premium, limited edition publications, in official partnership with leading names in the world of sport, entertainment & fashion. The BERNIE Edition is 1/1, a bespoke Champions Edition Opus, but it will entitle the holder to unique access into the world of Formula One for the 2014 race season. The holder will receive, for each day, of each race in the 2014; four passes for the Paddock Club, the ultimate in hospitality; two Paddock passes, which are exclusively for the teams or invite only; the chance to have ‘Tea with Mr. E’; and invitations to the exclusive evening events, such as concerts and Black tie parties. This is money can’t buy access into the world of Formula One. As the holder of the BERNIE Edition the owner is also able to transfer individual passes if they themselves choose not to attend. 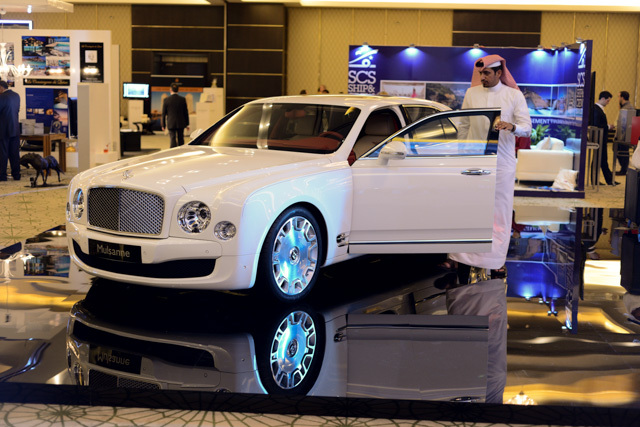 Following the Doha edition, World Luxury Expo will return to the Kingdom of Saudi Arabia and Abu Dhabi in 2014, creating an annual signature series of events in the GCC region. Those looking to attend World Luxury Expo, Doha can request an invitation and pre-register online here. World Luxury Expo Doha is an annual event that will showcase leading international luxury brands to the most discerning network of private clients. The focus of World Luxury Expo Doha is to explore the ultra-affluent and prestigious world of international luxury goods.